Product Number: JCSAV311Product details:Qty: 100 per box (please call us on 01253 864 902 .. Product Number: JCSAV3119Product details:Qty: 100 per box (please call us on 01253 864 902 .. Product Number: JCS064Suspension Wire Coil.Coil length: approx. 150m One of your suspended ceil.. Product Number: JL047Box of 100 - M6 x 50mm x 6mm wire hangers with 6mm SDS drill bit. Used for fix.. Product Number: JCSAH601VFHPack of 100 Vertical Flange Hangers from Judge Ceiling Systems.Size: 1.5m.. Product Number: JCSAH616BHPack of 100 Beam Hangers from Judge Ceiling Systems.Size: 1.5mm - 4mmIn th.. Product Number: JCSAH617BHPack of 100 Beam Hangers from Judge Ceiling Systems.Size: 4mm - 10mmIn the.. Product Number: JCSAH618BHPack of 100 Beam Hangers from Judge Ceiling Systems.Size: 10mm - 15mmIn th.. Product Number: JCSAH619BHPack of 100 Beam Hangers from Judge Ceiling Systems.Size: 15mm - 20mmIn th.. Product Number: JCS065Pack of 100 angle brackets from Judge Ceiling Systems.In the trade? You'll fin.. 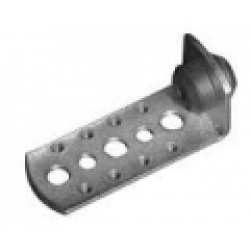 Product Number: JCS066Pack of 20 angle brackets from Judge Ceiling Systems.In the trade? You'll find.. 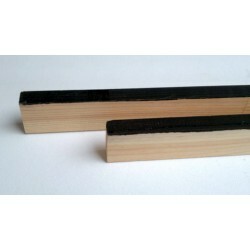 Product Number: JCS074Shadow batten - 40mm x 18mm by 3m long.Beat uneven surfaces with shadow batten.. Product Number: JCSCARABSSLABMake easy work of paving with the Caro adjustable paving supports. This.. Product Number: JCSCARLSHIMThe Caro Levelling Shims provide fine adjustments in situations of uneven.. Product Number: JCSCARSUPMake easy work of paving with the Caro adjustable paving supports. This foo.. Product Number: JCSGL3Looking for an easier and more universal way to fix plasterboard? Us the GL3 C.. Product Number: JCSGFSA soft extruded linear intumescent gap sealer to maintain fire resistance loca.. Product Number: JCS0671Pack of 100 suspended ceiling tile universal hold down clips.Most suspended c.. Product Number: JCS067Pack of 500 ceiling tile universal hold down clips.Most suspended ceilings d.. Product Number: JCSMLSFRThe Knightsbridge square fire hoods have a 60 minute fire rating for above y.. Product Number: JCSLBA2575Airsafes large bubble wrap is the perfect packaging solution to protect al.. Product Number: JCSMF11Product details:Qty: 200 per box (please call us on 08452 600 884 for other q.. Product Number: JCSRAISThe Firestop Intumescent Acoustic Sealant seals joints and service penetratio.. Product Number: JCSSB19The Soundblocker Private Office Range is suitable for where slightly higher r.. Fit it level, fit it right with suspended ceiling accessories from Judge. We've all the ceiling accessories you'll need to complete the perfect job. For wall plugs, pins, levellers and all ceiling accessories no-one beats the Judge on price. Suspended ceiling accessories? It pays to trust the Judge.